Smashbox has just added a brand new gloss formula to their lineup: Reflection High Shine Lipgloss. The formula is supposed to be hydrating and plumping (thanks to the inclusion of hyaluronic acid and "plumping spheres") and have and ultra-shiny finish. 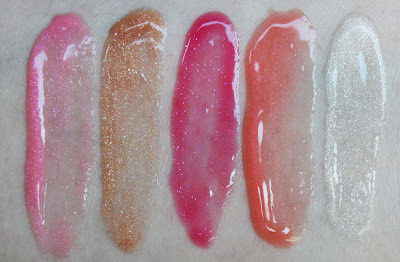 To allow you to try out several shades of the new formula without making a full-size commitment, they've put together a kit of five minis as part of their Shades of Fame Summer 2012 collection. Tubes are a good size. 0.19 oz is pretty good for a mini. The formula is thick, smooth and cushy. It feels very balm like and pleasant. Wears for a good long while and stays comfortable, not drying or gritty-feeling. The colors all have a gorgeous sparkle to them. All shades have a light vanilla scent. It smells very good but it's pretty faint. The thick, cushy formula makes my lips look a little fuller. 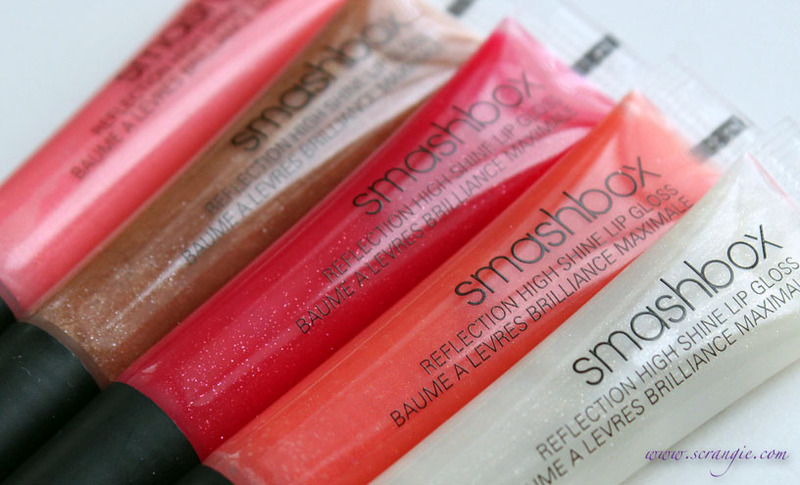 The set is the cheapest way to try these glosses. The full sized tubes are $19, this entire set only costs $29. The colors are more sheer than I thought they would be. Despite how bright they look in the tubes, they only add a tint to your lips, they're not full coverage. The sparkle shows up well, but the colors themselves are subtle. 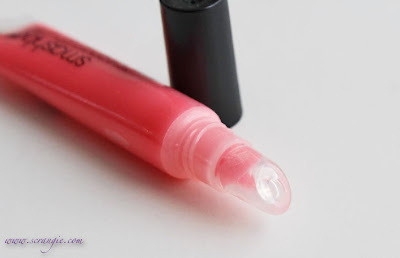 The formula is very thick and smooth (which I like), but it does have a gooey-stickiness to it that feels heavy on the lips. 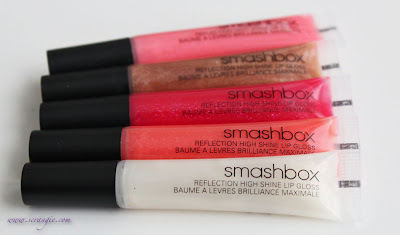 I didn't notice any true plumping when using these, just the visual plumping effect from the thick, glossy formula. 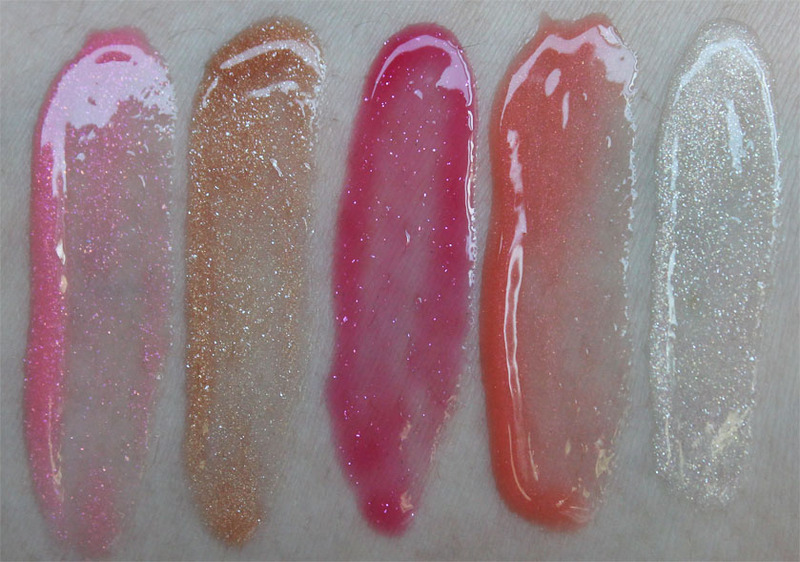 The formula is very glossy, but I don't think it's really "high shine" or any more shiny than your average gloss. I wish the scent was stronger. I love vanilla scented gloss. I've been known to buy colors I don't even like just because they smell like vanilla. The new formula is nice. I like it. I do prefer the less-gooey texture of the Lip Enhancing formula, but that one doesn't wear as long as the new Reflection formula. The Reflection High Shine gloss feels more hydrating than the average gloss, and it's also less sticky than a lot of my favorite glosses. It lasts a good amount of time on my lips so I don't have to touch it up every 20 minutes. The colors are all easy to wear and pretty, I like every single one. The Smashbox Shades of Fame Reflection High Shine Lipgloss set is limited edition and retails for $29 at Sephora. I love lipgloss! These look so pretty, I think I may have to pick these up. 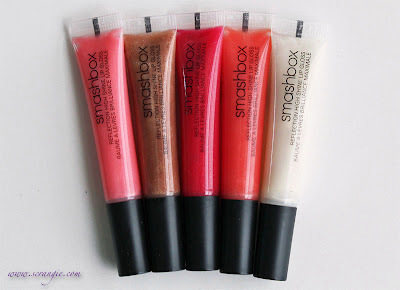 To this day, I still haven't tried any Smashbox lip glosses. These ones look pretty and easy to wear. Haha, I just need to finish my ridiculous collection of lip glosses before I buy anything new. Thanks for swatching these and sharing your opinion on them!